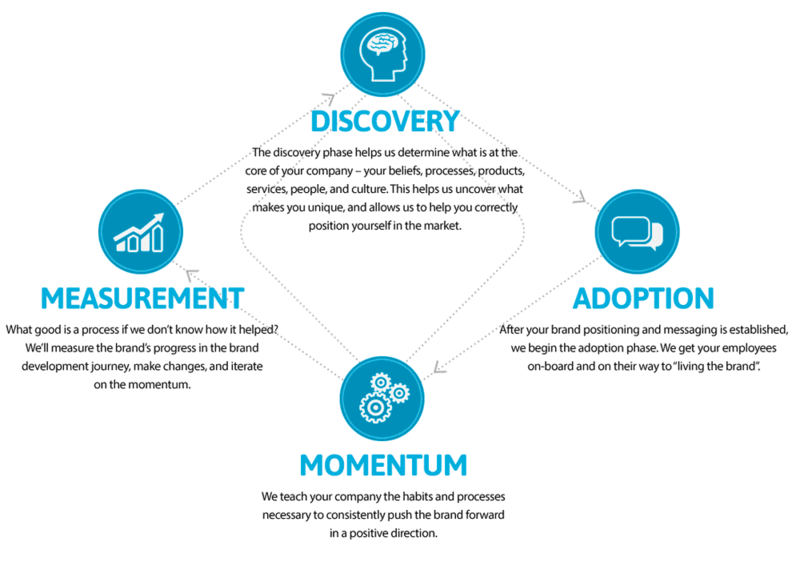 What are the Keys for Brand Effectiveness? How to Choose a Name for a Brand? Unfortunately, there are no ready-made recipes or methods that allow creating a robust and successful brand. As well as there are no ingredients, using which you can be 100% sure of a tasty dish. All is completely individual: the success of any business is often predetermined not by the volume of investments in advertising but by skillfully conducted promotion campaign. You can come up with a logo design for a trademark, investing an enormous amount of money, but get nothing more than just more or less famous logo. So be ready to go through a lot of difficulties with numerous falls and rises. In truth, no matter how strong is your preliminary analysis, you can’t anticipate the success of the brand. Brainstorm, aimed at selection of a future name. Release, which requires a larger number of organisational issues. The life of the company. Every business man wants the last period lasts forever, but actually, it depends on company’s positioning, its strategy, and internal decisions. Do you know the sad story of “MySpace?” In less than three years of existence, this social network has become one of the most visited. The project was launched in January 2004, and in less than a month, the number of users has reached 1 million. For a while, MySpace’s attendance was higher than Google’s. But in 2008, Facebook caught MySpace, and that was the beginning of the end. This story is notable because the company could not determine its positioning and the potential audience, and, therefore, became an outsider in the market. It is evident that the advertising campaign can be effective only if manufactured goods or services completely satisfy the current needs of the market. The same goes for branding: even the most successful brand is doomed to failure if it can’t satisfy customers. The development of the brand requires a systematic approach and a precise sequence of actions. The process of brand building can be compared with the construction of the building, as its system includes planning, design, construction, supervision and management, as well as the accomplishment of some standard requirements and compliance with certain plans. First of all, the birth of a new brand is almost always starts with the choice of the name. 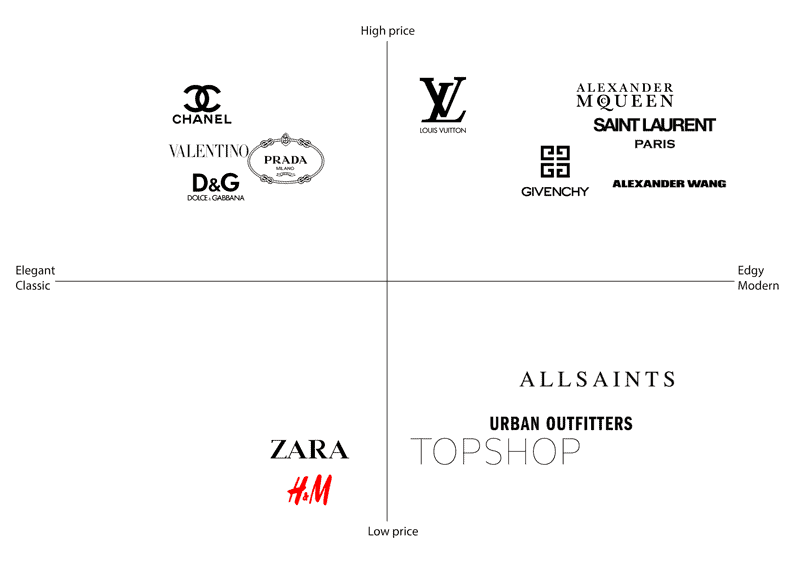 To create a unique and attractive name for the brand, you have to understand future challenges along with the fact that the brand’s name will significantly affect the sales. Try to move away from the standard clichés towards something unusual, interesting and unique. Or, at least, look at the standard techniques from another angle to rebuild the perception and find a correct method for making brainstorms. The brand name must be new, memorable and capable of expanding. Detailing the brand is necessary its essence, meaning, value and future customer orientation, as well as to come up with the truest and the most memorable name. Sometimes the most successful names for brands are found by chance; however, most likely you will have to a multistage job. The name should not be too long or too short. The name should not be too complicated and challenging for its understanding, perception, and pronunciation. The name should be indirectly associated with your business. Look at your different angle and play with the relevant, and then try to form the reasonable word. It may be even the word of the opposite nature: short and unusual names are quite popular. Another option is to take some abstract concept and form a strong brand on its basis. Remember that you have to make the brand not just memorable and beautiful but also authoritative. The name should carry a certain sense of reality. Thus, you have to create a living organism, which evokes the feeling of closeness among the audience. The brand name brings together all the elements of the product and tells the unique story of the company. The most logical identifier of a man is his name. The name is what makes us unique at the level of perception; it helps us to identify each other and to communicate. Asking the question about somebody’s name, the answer we’ll get will be rather a psychological than a physiological portrait of a man. In this context, we are interested in human psychology while external component fades into the background and become a less subjective factor by which we can say what’s the one or the other person. Almost the same concept can be used in successful branding. 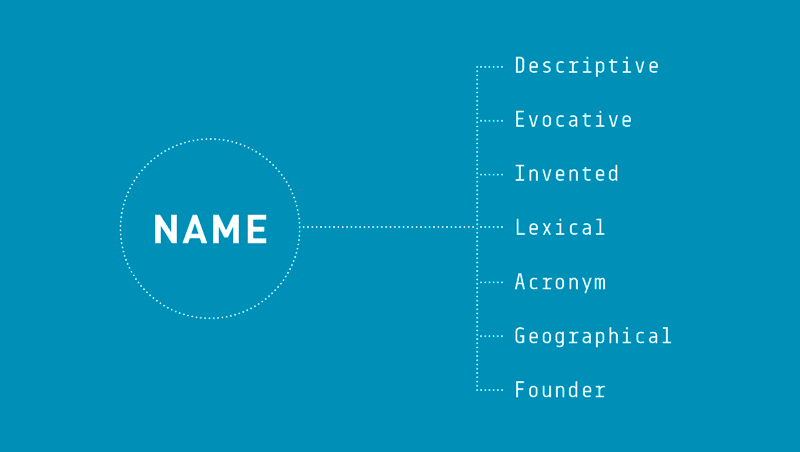 The name serves as an identifier and a component with which we associate ourselves. Therefore, the brand name should be related to positive aspects, and be filled with positive. First of all, the identification means a visual component of the brand, i.e. what the customer sees. Nevertheless, the brand is a defined concept, a concept that serves as an identifier for its recognition. The main thing that defines identification is a unique design. Today’s technology has allowed visual images to go beyond print advertising in magazines and newspapers and move to a virtual environment, thereby enhancing the effect of the communication environment. Today’s market is saturated with the visual images of different brands, so you have to approach to maintaining of the image carefully; otherwise, your brand will just disappear among competitors. Due to the current difficult situation, it is necessary to develop the visual branding culture, rethinking standards and expanding them if necessary. Every day we face a huge number of information channels, which do not always have a quality structure. Changes in the style should be accompanied by the changes in company’s work and its approaches. It’s not only the creative process but also the hard work associated with the analysis of the current situation in the industry. Many companies use the services of professional companies that offer a broad range of options, from creating a business plan for the implementation of organisational issues. The development of a common brand has a few general steps. First, you need to identify the main category of future customers and define the advantages of your services over competitors. The understanding of how customers perceive your product or service will help you to identify the main benefits of your company. The position of the brand regarding your partners and customers can be dramatically different from the one determined by the management team. You have to eliminate managerial and strategic issues between the management. The secret to successful positioning of the brand lies in the highlighting of the distinctive qualities of the product. The unique qualities of the goods or services. The benefits that the buyer gets. The advantages over competing products. Who is your direct competitor? What will the consumer get from the use of the product? Roughly speaking, the brand strategy is what the brand promises to the customers. It may vary depending on the stage of development. To form a fruitful and strong brand, you have to turn the attention to the other players on the market, even if you are a monopoly. It’s crucial because identification of the major mistakes in the strategic plan of competitors along with their disadvantages will greatly help you to build the right attitude and strategy, as well as to focus on the features of the products, which are not highlighted by competitors. Gone are days when people rely on articles featured in newspapers and magazines when choosing a product. Now, most people use the Internet to search for goods and services. 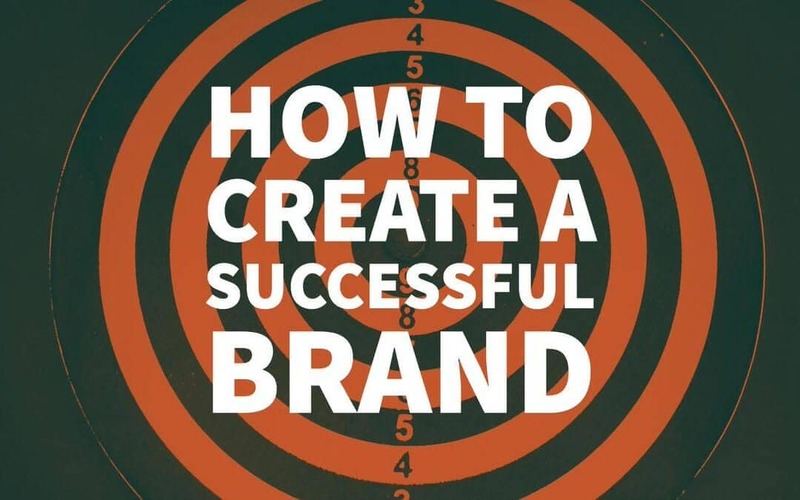 Building a successful brand is the use of powerful marketing tools to form a secure and stable trademark in the minds of the target audience, as well as to provide it with complementary values of tangible and intangible fundamentals. Development of the brand is primarily aimed at the development of a unique commercial offer. At the same time, the complex approach to the creation of the brand brings together some strategic objectives, ranging from market analysis to learning the sales techniques. Author Bio: Brian Jens loves the design like nobody loves it. He works as a blogger and a designer at DesignContest – a leading crowdsourcing platform. Feel free to contact Brian if you have any ideas in mind for conducting the valuable researches. This is a good start to thinking about the importance of design.